For the second time this month, ferry riders traveling between West Seattle and Vashon Island may experience long waits as the route operates with fewer boats than usual. Riders on other routes may feel the pinch, too, as Washington State Ferries (WSF) deals with a rash of ongoing maintenance projects and a lack of backup boats. Starting Monday, the Fauntleroy/Vashon/Southworth route, known as the Triangle Route, will operate on a two-boat schedule instead of the usual three-boat weekday schedule. Riders can find the schedule on the WSF website. 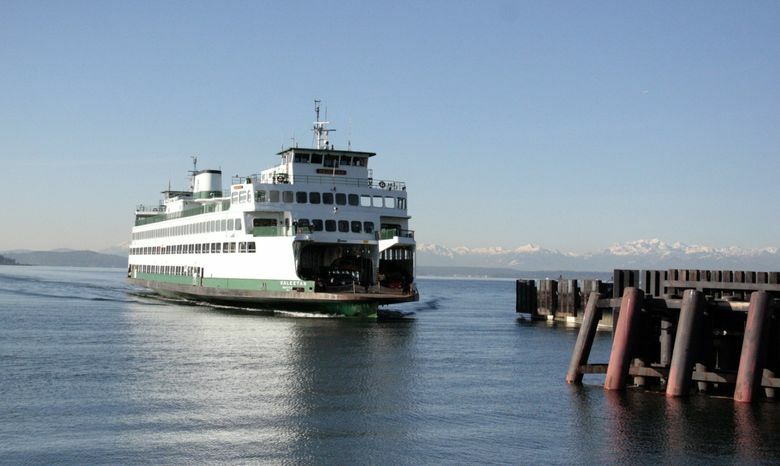 Riders on two other routes, Edmonds/Kingston and Seattle/Bremerton, may also experience delays as smaller-than-usual boats serve those routes. Fewer drive-on passengers can make crossings on smaller boats, and unloading completely full boats can take longer, causing delays. Fewer boats can mean drive-on passengers have to wait longer to catch a sailing. Seattle/Bremerton riders should expect possible delays starting this weekend. That route and the Triangle Route could be back to normal by March 23 or sooner, according to WSF. Delays on the Edmonds/Kingston route could last through the end of March. The latest maintenance flash point for WSF came with the vessel Kaleetan. WSF had planned to take the 52-year-old boat in for extensive motor repairs starting April 1, but on Thursday night noticed a “significant downward trend” in one of the boat’s multiple motors, said spokesman Justin Fujioka. The boat needed fixes sooner than previously thought. The Coast Guard gave WSF permission to keep running the boat through Friday, and it will be taken out of service starting this weekend, Fujioka said. Meanwhile, six other boats are not currently running as they await scheduled maintenance and annual Coast Guard inspections. Repairs to one of those vessels, the Issaquah, have taken longer than expected, according to WSF. WSF runs 23 total boats and only needs 17 to operate a full schedule on all of its routes at this time of year. That means there’s room to sideline some boats for inspections and maintenance. But with six already out, there’s no backup boat if a seventh boat experiences unexpected issues, as has happened this month. As the ferry fleet ages and ridership grows, Gov. Jay Inslee’s latest proposed budget included $64 million to begin construction of two new electric ferries. If the state Legislature approves funding, WSF says a new boat could be in service by December 2022. In early March, the Triangle Route was downsized to a two-boat schedule after a vessel was damaged by a crab-pot line and the agency rearranged boats among its routes to try to address the gap. The route went back to normal Monday, only to be reduced again a week later. Todd Pontecorvo, who lives on Vashon Island and commutes by ferry to get to work in Redmond, said the two-boat schedule took a toll. He waited two or three hours to make it on a boat back home, he said. This reduction shouldn’t be quite as bad as the last one for Triangle Route riders, according to WSF. The two boats on the route will carry 124 vehicles each. Earlier this month, one of the two boats carried just 90 vehicles.